Cabo San Lucas is a Mexican destination that offers a perfect combination of great weather and spectacular scenery. Los Cabos is located on the tip of the 800-mile long Baja California Peninsula, with the Sea of Cortez on one shore and the Pacific Ocean on the other. Cabo and San José del Cabo have everything you need for a relaxing (or active) vacation experience surrounded by extraordinary natural beauty and top-notch attractions and activities. With easy access from important North American airports, you'll experience warm hospitality, excellent hotels, and facilities, all with a "get away from it all" feeling. 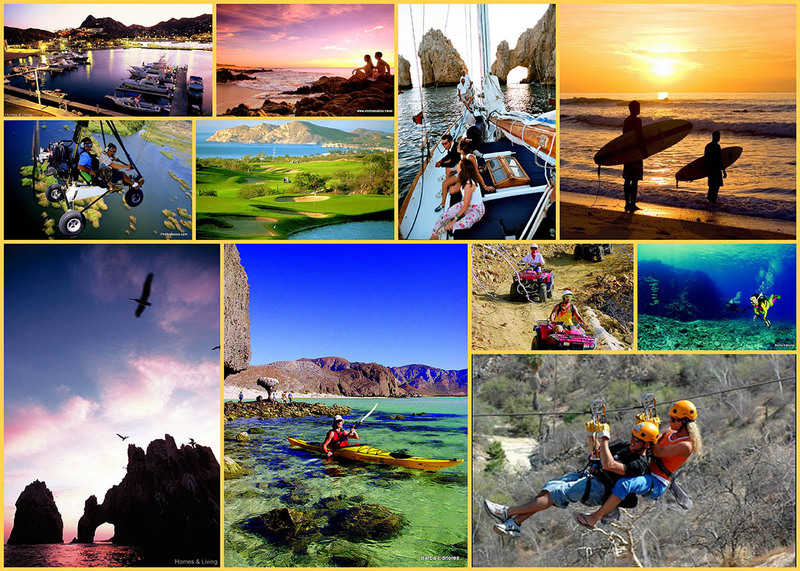 Los Cabos is safe, fun, unique and the only thing missing is you! 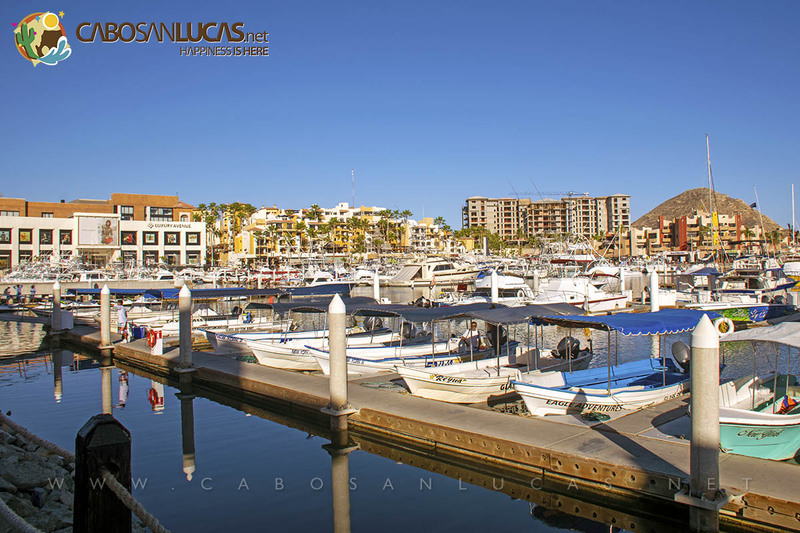 Cabo, with its large marina and the beautiful San Lucas Bay where the Sea of Cortez meets the Pacific Ocean, is famous for its casual atmosphere and exciting nightlife. A longtime favorite for sport fishing and those out to land the big one, Cabo also has great beaches, lots of shopping and restaurants, and a variety of all-inclusive hotels and resorts for any budget, also known for its famous stone arch, called El Arco, a magnificent natural rock formation at Land's End. Visit Medano Beach, the city's long main beach, great for swimming and watersports, with lots of fun restaurants by the edge, drink your Margarita or Tequila with the sand under your feet and enjoy the picture-perfect views. A popular port of call for cruise ships along the Mexican Riviera, Cabo is also a popular destination for Spring Breakers and a popular hideaway for the rich and famous. Twenty miles northeast is San Jose del Cabo, Cabo's sister city, a charming and romantic colonial town with the flavor and colors of Old Mexico. Founded as a mission in 1730, San Jose is a mile inland from its hotel zone along San Jose Bay. In the small historic downtown, courtyard restaurants, boutiques, and art galleries surround the main square and the twin spire mission church. Gourmet dining, sophisticated wine bars, and live Latin entertainment heat up the night. A family-oriented traditional town, San Jose is the quiet side of Los Cabos. With the area's best surf beaches, a palm-filled estuary ideal for bird watching, a sea turtle nursery and the Sierra de la Laguna mountains close by to explore, San Jose is an ideal destination for nature and adventure lovers. Between CSL and San Jose, the Tourist Corridor is home to some of the world's finest resorts, championship golf courses, and incredible beaches and bays. A 20-mile drive, winds along the coast through stunning scenery, with three of Los Cabos' best bays for swimming, scuba, and snorkeling. A perfect destination for groups, weddings, families, and couples, the Tourist Corridor's luxurious resorts are so relaxing you'll never want to leave. 120 km SE of La Paz, and 64 km NE of Los Cabos International Airport, off Highway #1 along the Sea of Cortez, the waters of the East Cape or "Cabo del Este" as it’s known locally, have attracted sports fishermen for many decades. Coastal lagoons offer amazing birds and other wildlife. Ancient Indian rock paintings in the mountains. Sensational sportfishing, diving, windsurfing & trekking are some of the adventures that await you here in Los Cabos San Lucas. Sightseeing or check out the Cabo San Lucas webcams.